Perfect for the professional, student or hobbyist! Carry your books, papers and more! 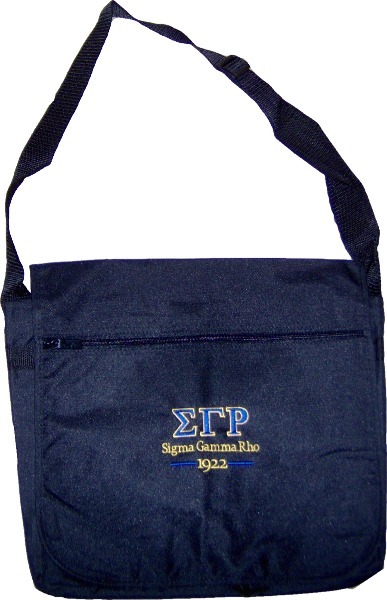 A simple unstructured bag featuring a flap with zippered pocket and embroidered sorority letters.